Hot air balloon rides have always intrigued me and have been on my bucket list for awhile. But, I was only willing to do a hot air balloon ride with the best of the best because – well, you get the picture. 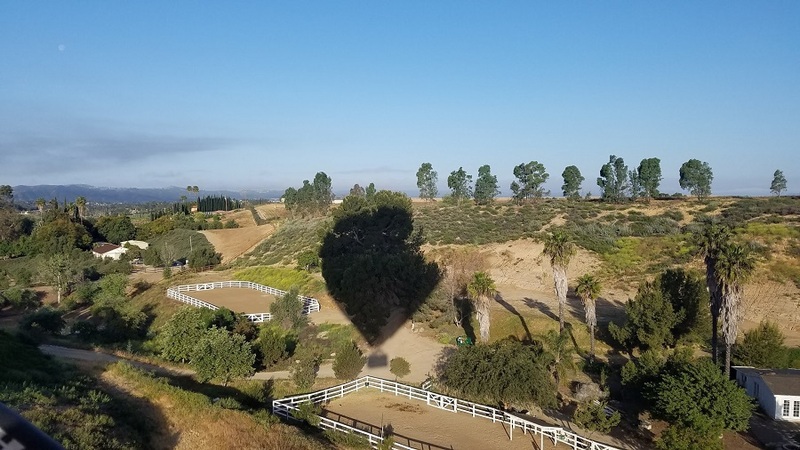 We recently partnered with and took a much needed getaway to Temecula Valley which is well known, and regarded, for its hot air balloon rides. 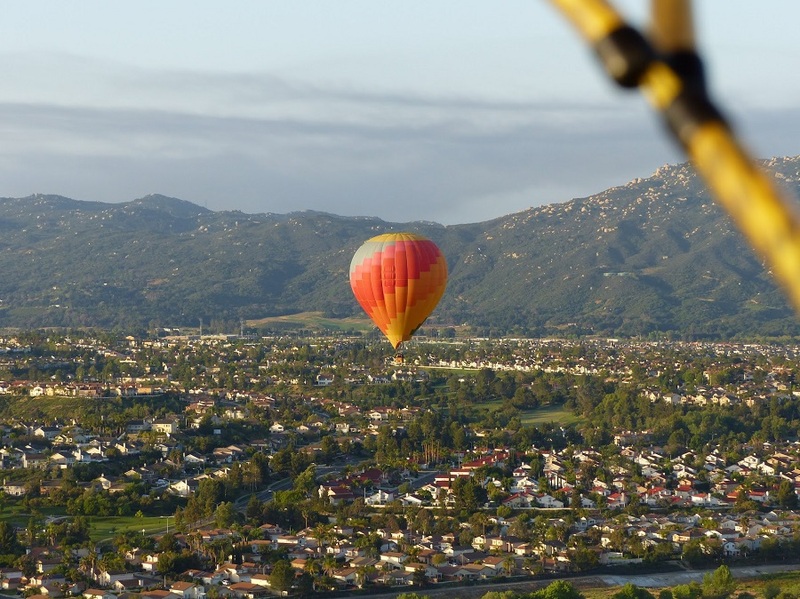 After all, the Temecula Valley Balloon and Wine Festival brings in people from all over because of this reason so the trip seemed the perfect time to cross this item off our bucket list. 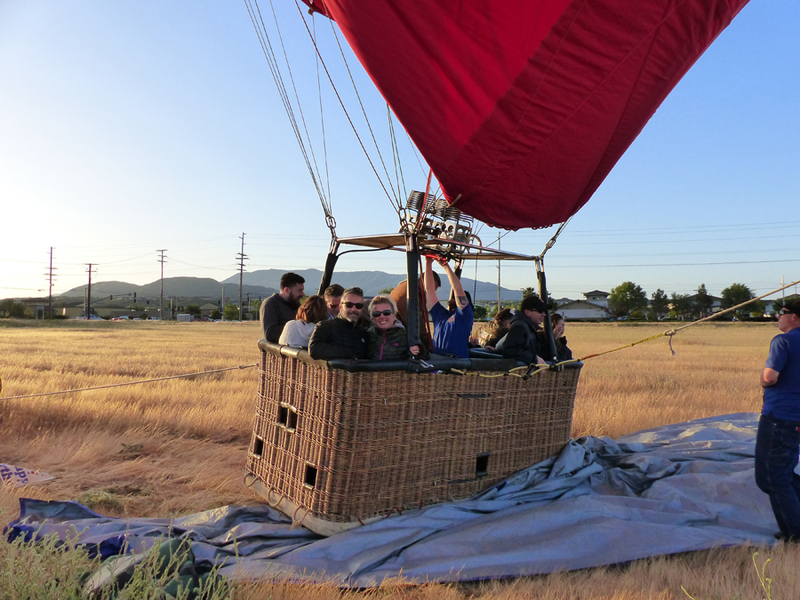 Hot air balloon rides are a bucket list item for many people. 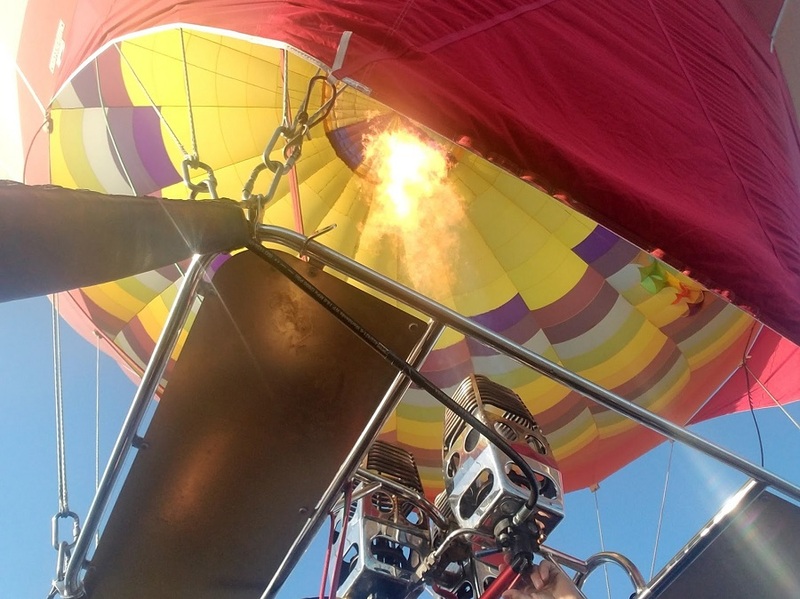 If you find yourself wondering what to expect on a hot air balloon ride, you are not alone. 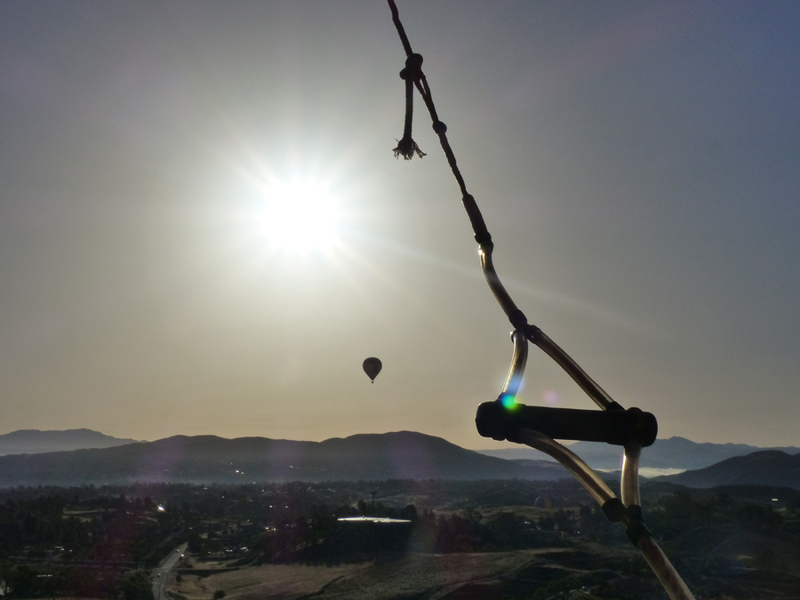 Before our trip, I kept wondering what to expect with hot air balloon rides. This seems like a rather good time to also tell you that my husband has a fear of heights and I have vertigo, which is a large part of why I kept wondering what one would be like. But come to find out, SO many people have a fear of heights and get a bit dizzy from time to time. It was very clear that we were not alone in wondering what a hot air balloon ride like. Turns out that the air is very much like the seas we travel on – they are calm in the morning making it the perfect time to fly. 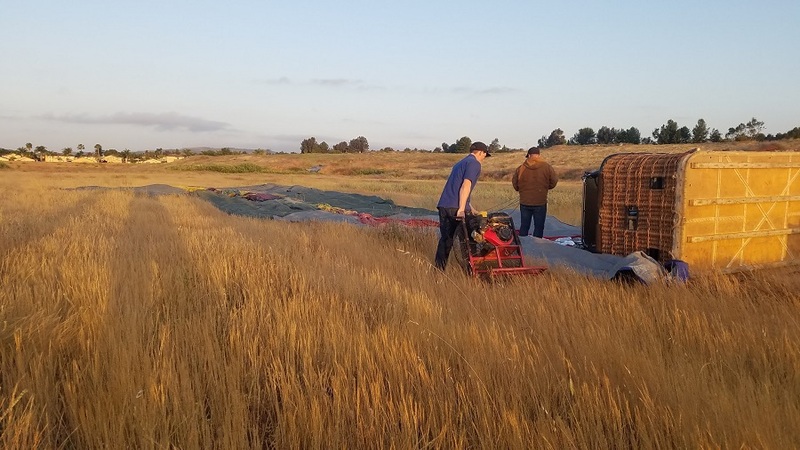 We took our first hot air balloon ride with A Grape Escape Balloon Adventure, which was thankfully a few minutes drive from South Coast Winery Resort and Spa, and couldn’t have asked for a better experience. They explained everything thoroughly before the flight, including that we needed to arrive at 6am sharp. They had coffee and restrooms so we could stay warm while waiting for others to arrive. What goes up, must come down – safely. We shared our weight before the flight and signed a waiver. The weight information helped them plan the flight and how many people could go in each basket. After everyone arrived, we loaded into a van so we could go to our launch area. I must say that going down the road with a HUGE basket on the back trailer was pretty cool. A Grape Escape and their team monitored wind speeds at various locations and fields to determine the best place to launch. Once we unloaded, it was time to prep the balloon. I will be honest – this is where I got a bit nervous because one can not help but see how very simple the concept is (Heat + Air + Balloon + Basket = Flying) :). But the pure excitement overpowered my other emotions and I could not wait to get up in the air. The pilot we had with A Grape Escape was personable, connected with all of us, and interjected humor at the most opportune moments, putting any fears we had at bay. 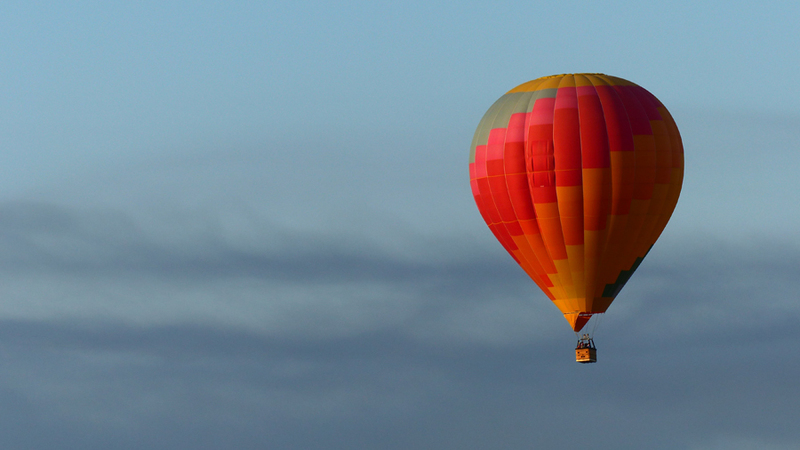 The basket carried by a hot air balloon is very high keeping everyone safe and most importantly – inside. I am 5’7″ and it was chest height on me, which was perfect because I could lean over and look straight down without any issues. There are tiered small cutouts on the sides of the basket that serve as steps. You step onto them and get into the basket like a horse where you swing one leg over the side. Or you can climb up forward, hold on to turn around, and climb down into the basket backward. Just about anything works! 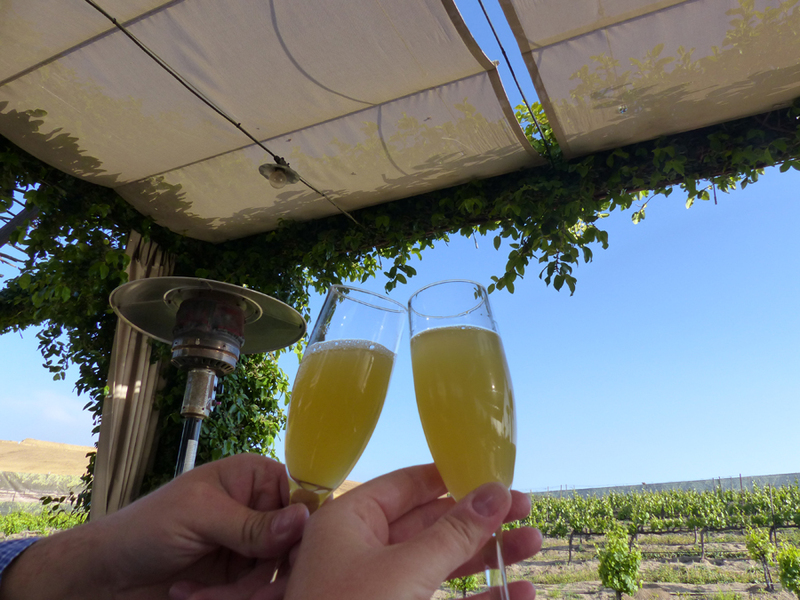 I will let our photos from our hot air balloon ride with A Grape Escape tell the story. 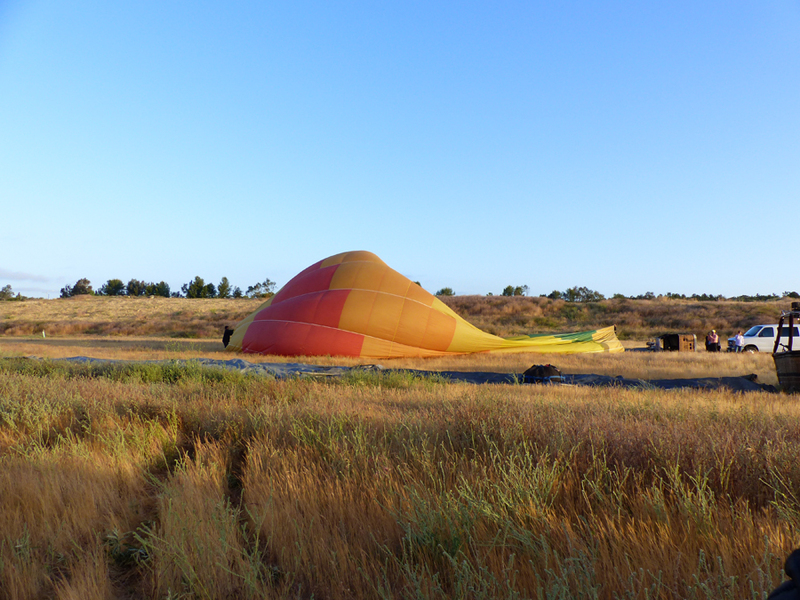 We were told that landing in a hot air balloon can happen three ways. In light winds, the basket will come down with the longest side facing forward. It will then catch the ground and settle to a stop. When in medium winds, the same thing will happen except the basket may do a few small bounces before settling. If high winds, we were told there is a chance the basket would tip over. BUT, those chances were low because they don’t usually go up in those conditions to begin with. A Grape Escape Balloon Adventures had a wonderful ground crew in place where we would land. The pilot was in communication with them letting them know exactly where we would land. When the basket caught the ground, they secured the opposing side resulting in an incredibly smooth landing. Remember how hard it is to roll up a sleeping bag and get it to actually fit in the bag it came in? Well, imagine doing that with one very large hot air balloon. Whoever you fly with may ask for help doing this process so lending a helping hand will always be appreciated. There is a tradition going back to the late 1700’s regarding the crew and passengers having a Champagne reception after a hot air balloon flight. We could not imagine a better ending to an unforgettable life experience. 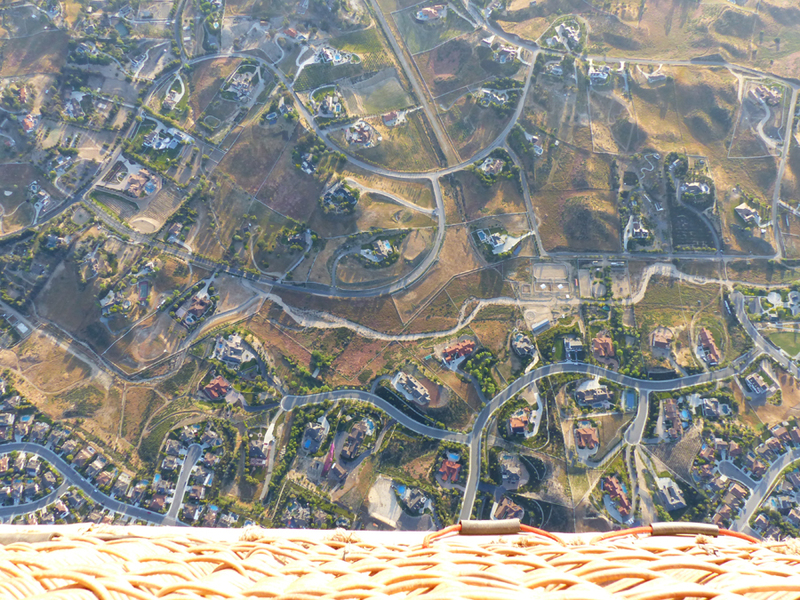 As mentioned, I have vertigo and am thrilled to say I had zero issues during our hot airballoon ride in Temecula Valley. Both my husband, who has a fear of heights, and I would do it again in a heartbeat. Next time we will take our children with us so they can experience the excitement of hot air balloon rides earlier in life than we did! Hot air balloon rides are amazing! I’ve been on a couple, and I love it. A lot of people don’t realize that you are TOTALLY at the mercy of the prevailing winds. I would LOVE to take a hot air balloon ride but I don’t want to go by myself and everyone I know is scared of heights. It looks so beautiful! Your photos could be stock photos, seriously. Thank you! I appreciate that. YOu know what? My husband is super scared of heights. He LOVED it! wire so it bounces a little. That took a little bit of getting used to. It is well worth it if you can go on one for sure! 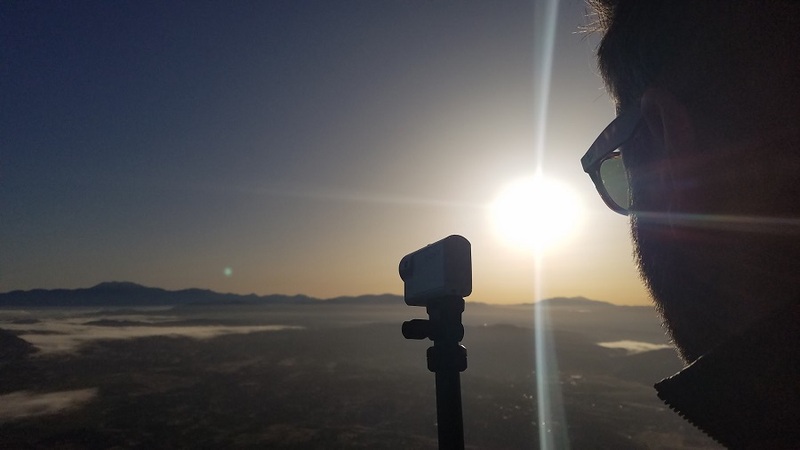 Wow, you managed to capture some great photos while you were up there. I think this sounds like an awesome experience! I’ve been on a few hot air balloon rides and I was just asking my hubby (also afraid of heights like yours) if he would get on one. I love this review! Great pics ? I really got a great idea of what to expect on a balloon ride. It looks like fun but I am not near any balloon launches. You are truly brave for going up in the balloon especially with vertigo. This is so cool! I have been to a hot air balloon festival, but I am always scared to get on! I need to just do it! Yes! It’s normal to have some hesitation I think. This would be an amazing way to see your town from a whole new perspective. I have always wanted to go on a hot air balloon ride. I have always wanted to go on a hot air balloon ride. This is definitely on my bucket list. I really need to find out where there is one near me that I could finally try this! 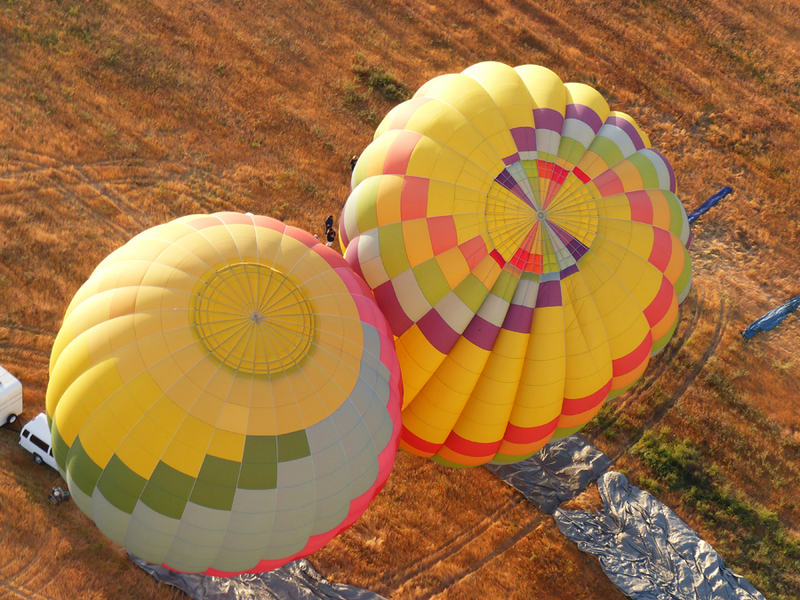 Hot air ballooning is definitely a unique experience that a lot of people will enjoy. 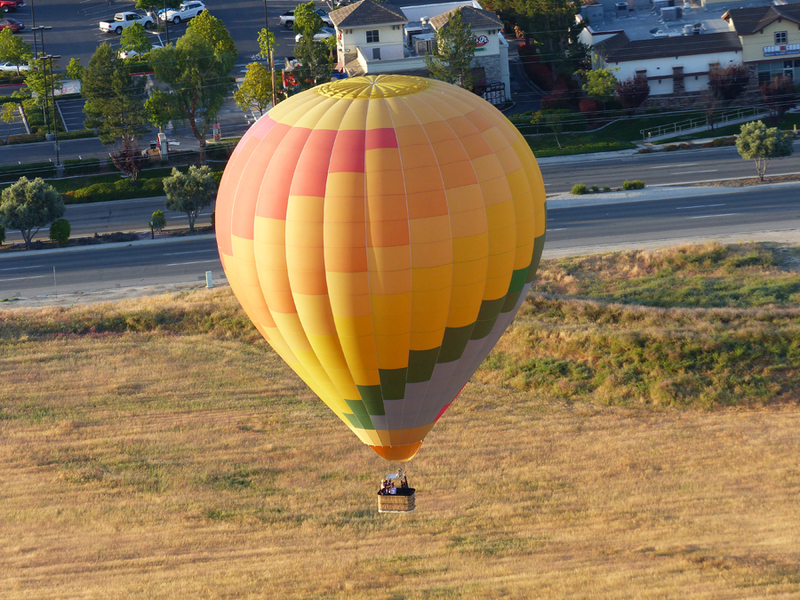 We took our whole family up in a hot air balloon in Temecula several years ago, and everyone is still talking about it. Not to mention all the phenomenal photos I took from the air to save this memory forever. This is so on my bucket list! What an incredible experience! EVery year they have a big ballooning festival here in NJ.I should get up early one of these years and do this! Super fun! My first time in a hot air balloon was for my husband’s birthday last September here in France. We cruised over the beautiful Loire Valley. The company we booked with was extremely knowledgeable and safe and we felt secure the whole time. Such a great experience and so calm and quiet. I’d do it again for sure! What a great experience and what a stunning view. I need to try this. I have never been in a hot air balloon before. What a view! Hot air balloon ride is one of the adventure i would love to try! It would be fantastic seeing thr beauty up above.